Welcome Ingraham's new varsity Baseball coach Dashawn Patrick. Full coaching staff to be announced this week. 2019 Baseball Tryouts start Monday, Feb 25th. All paperwork must be turned into the office to Athletic secretary Maria Medina. 1. Freshman and Sophomores please report to the field and be in the 1st base dugout by 4:10 on Monday and Tuesday. 2. Juniors and Seniors (and any current sophomores who played regular season varsity last year) please report to the 3rd base dugout by 4:30. 3. Wednesday will be a shortened practice for all players so everyone can attend the basketball game in Tacoma. Please report to the field by 2:50 PM. 4. All players should report in baseball/athletic attire: hat, long sleeve shirt, athletic pants, running shoes or molded cleats. Please also have any of your gear and a bottle of water ready when you report to the field. No street clothes or shoes permitted please. Coaches will update when teams will be announced and rosters published. Ongoing Practice Schedule to be updated. 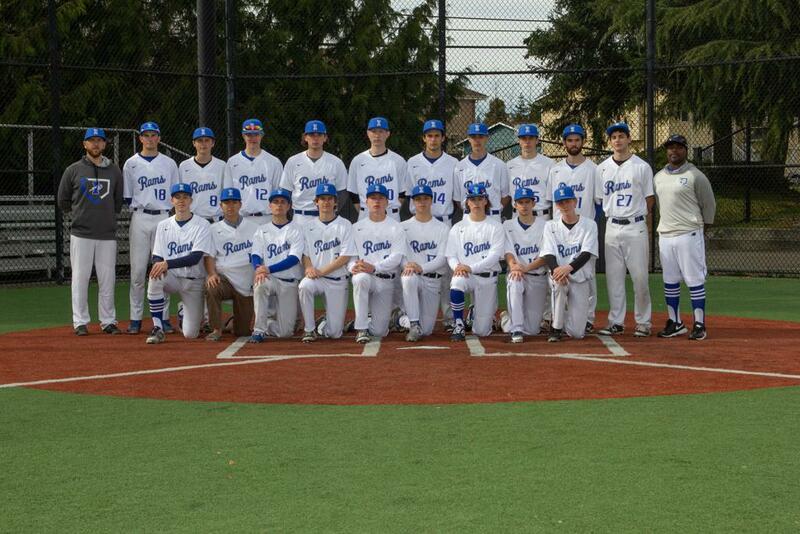 Click on this link to go to the Facebook Group page for Ingraham Boys Baseball and ask to Join the group. The Varsity and JV coaches will communicate directly with the players in person and via text. Parents/Guardians will receive group updates via email from the IABC liaison. What are the details that I need to know about pre-season workouts? Preseason workouts are led by team captains and usually take place every Monday and Wednesday immediately after school. Meet in the batting cages underneath the football bleachers. Practices typically run until ~4:45pm. Bring your glove and athletic clothing, as well as bat and batting gloves if desired. Preseason weightlifting usually begins in January. Weightlifting happens before school in the Ingraham Weight Room. This sport is cut (some athletes will be cut and not make the team). Coaches will determine whether the numbers will support a 3rd JVC team in addition to Varsity and JV. Baseball clothes, molded cleats, glove. Metal cleats for pitching only, since we are a turf field. 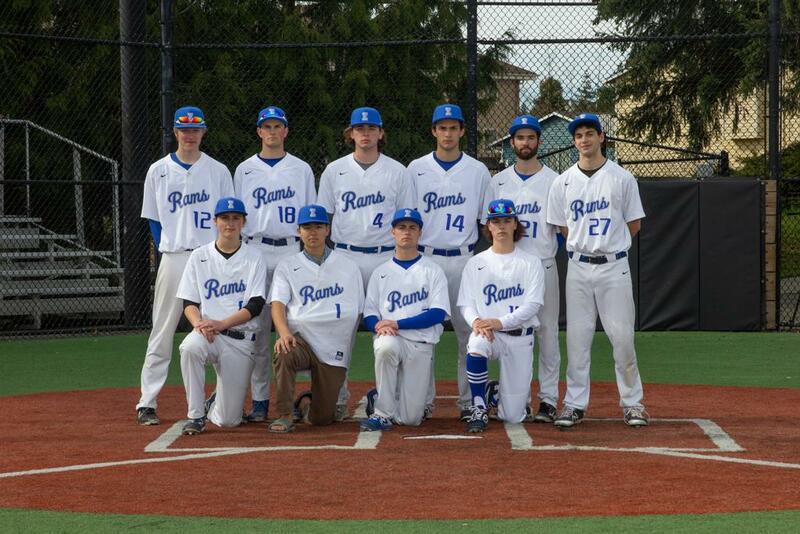 Rams baseball will start in late February, on the first day of Spring sports (Feb 25th, 2019. Games will begin about 2 weeks later, mid-March. The regular season usually ends in early May with post-season games following. THE TEAM WILL PLAY GAMES DURING SPRING BREAK –please do not plan vacations during that time. What is the usual practice/game time and locations? Practices are every day after school ~4:00pm - 6:00pm (TBD) on the baseball field south of campus. Once games begin, the games will be Mondays, Wednesdays and Fridays with practices on Tuesdays and Thursdays. There are some Saturday practices and some Saturday games. Games happen at Ingraham (called the Northwest Athletic Complex) and other high schools in the Metro League. What is the time and location of the parent meeting? 1. http://www.metroleaguewa.org/ The official game schedule site Opt into the schedule for Baseball – Varsity, Baseball - JV, or even both. http://www.metroleaguewa.org/index.php?pid=0.8.78.6.321 If you log in you can enter your email address or cell number for alerts – this is recommended, but it doesn't always work! Is there transportation provided by the school for games played away from school? If Varsity is scheduled for a home game, JV will play a road game. They will travel by school bus to and from games. Parents will need to coordinate with the coach(es) in advance of an away game if their son will not be riding with the team on the bus. Buses will typically leave for away games in the afternoon. With the later school start, school buses are shared amongst the school district for teams and students. Coaches submit team early dismissal lists through Ms. Huffer and the athletics office, but players MUST be responsible to get their work completed and be aware of what’s due. TBD. Coaches will update players and parents on the best form of communication. What is the expected cost of equipment and/or uniform for each athlete? o Parents and friends are invited to purchase gear from the new Ingraham Baseball online store https://www.bsnteamsports.com. (password ihsrams2019). If writing a check to the baseball program, please write checks to IABC - Baseball (IABC treasurer requirement). What equipment does the athlete need to provide? (Optional) BBCOR high school or collegiate level bats are provided by the team, but personally purchased bats are fine and may be stored in player’s bat bag. Players are not expected to ‘share’ their personal bats. Batting helmet. The team will provide these and assign to each player for the season, but players can provide their own if preferred as long as the color is consistent with the team’s. What equipment will be provided to the athlete? Are there scholarships available to cover uniform and equipment expenses? Please talk with the coaches and/or the Baseball team liaison if your family needs help obtaining this equipment. No tobacco, drugs, or alcohol before during or after games or on school premises. Automatic 2 game suspension. Varsity and JV Parent Leads: Volunteer(s) to help support the coaches and players with team communications or other support as needed. Ingraham Athletic Booster Club: Fundraising and communications arm for all sports at Ingraham. Baseball parents are needed to get involved with this important organization to sustain support for our athletes and coaches. Meetings scheduled as the 2nd Tuesday of the month, meeting in the school library 7-9pm. 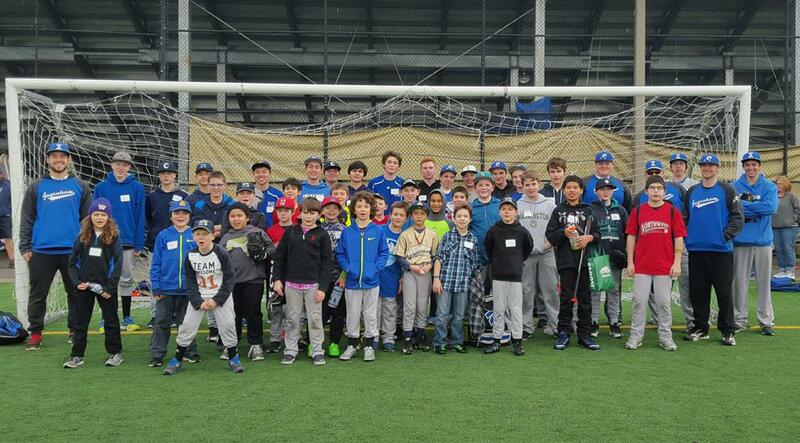 THANK YOU to all the players, coaches and other helpers who helped with the Rams Pre-Season Youth Baseball Clinic! 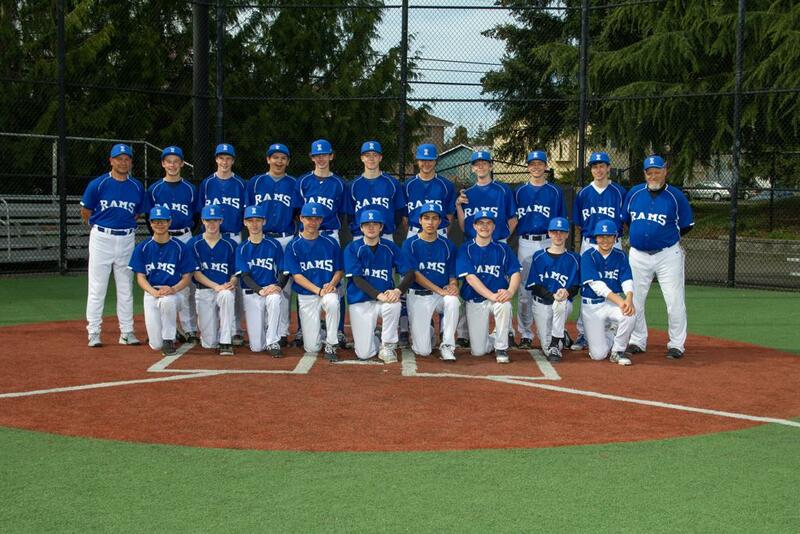 It was a lot of fun and helped raise needed funds for Rams baseball!